Hi everybody and a happy new year 2015! 2014 was our first year with Flashlines and it was great. Thanks a lot for your interest and your feedback. 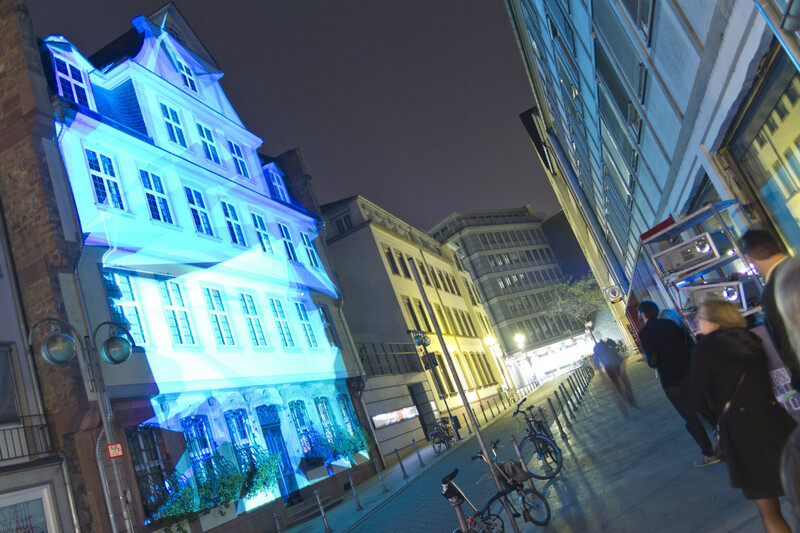 It all started with the Luminale light art festival in Frankfurt where we first showed Flashlines and since june we are officially in the App Store. Ever since we did many projections and had a great time. Definitely one of the highlights was being awarded within the design-price rhineland-palatine. 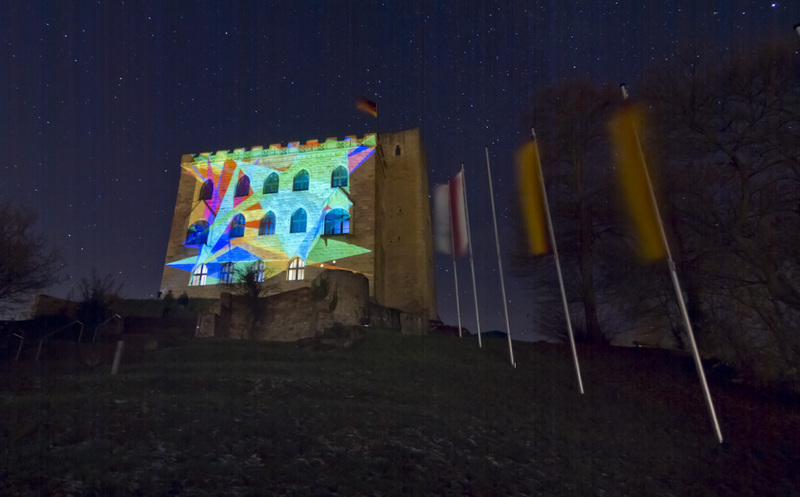 The jury was amazed by the new possibilities Flashlines offers and the artistic approach to interpret physical structures with colorful light. But in the end all our other events were highlights, literally. We enchanted places and people as for example the castle of Hammbach or the Goethe-house. And the best thing really is that everyone is able to use Flashlines. We gave away our iPad to the visitors and enjoyed each new shape that blinked together. It is a very cool community experience and connects people. On the other hand, Flashlines looks amazing. Press loves to cover it and the visitors themselves shoot lots of pictures and share it online. We even were featured in the main german television channel ARD. Flashlines is perfect for drawing attention to a place and make people talk about it. But Flashlines is not restricted to events. We made a fixed installation at a restaurant. 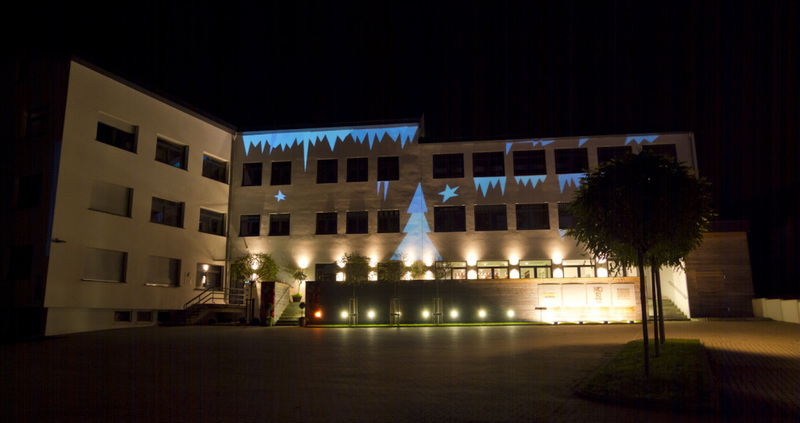 So now, every evening the building lights up and can be decorated for many occasions. And so we will continue in 2015. We want to enlight the world together with you. Maybe you are planning to do something for the international year of light? The UNESCO decided to celebrate the many positive qualities of this phenomenon. We would love to celebrate together with you. PS: Stay up to date and like us on Facebook to gat all the latest news.